Darren Aronofsky may have hit something of a rough patch as of late, with critics turning a lukewarm-to-cold shoulder on his 2014 religious epic Noah and his output flagging since then. But then again, Aronofsky’s always worked at his own pace, privileging careful, meticulous obsession over his pictures rather than pursuing prolificness for its own sake. Audiences waited four long years between 2010’s Black Swan and Noah, and six between 2000’s Requiem for a Dream and his fantastic adventure The Fountain, so it could be a minute until Aronofsky’s next opus sees the light of day. For now, however, audiences can take heart in the assurance that he’s definitely working on something, though the nature of that something remains almost entirely shrouded in shadow. What’s known at present is that this still-untitled project will focus on a married couple enjoying a healthy, stable domestic life which will then be tested by the appearance of a pair of uninvited guests. Imposing on the couple's hospitality, these interlopers will disrupt the tranquility in their home and may even, by the sound of it, turn violent. (Flashes of Michael Haneke’s chilling, brutal Funny Games.) The pre-production process has been agonizingly gradual, but little by little, Aronofsky has begun staffing up for this new film: he tapped Jennifer Lawrence to portray the female lead back in October, and then selected Javier Bardem as her husband in January, continuing David O. Russell’s legacy of fundamentally misunderstanding how old Jennifer Lawrence is. Today, Variety has the news that another wave of additions have joined the cast, albeit all in unspecified roles. 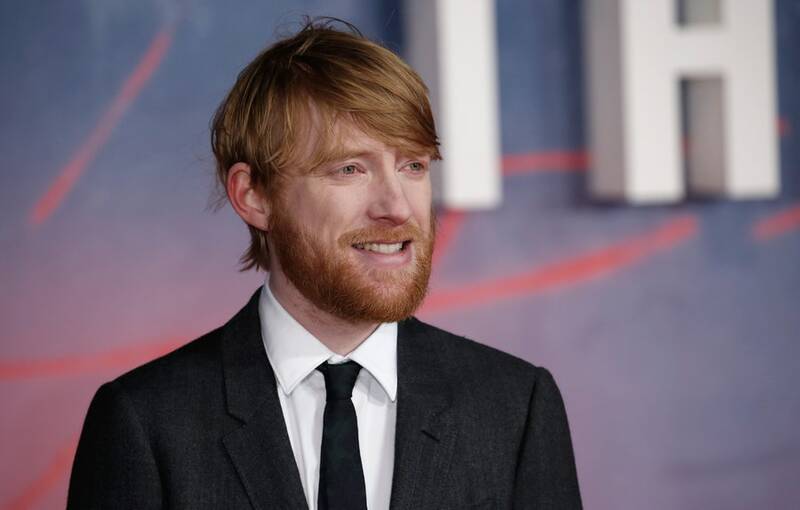 Official winner of 2015 Domhnall Gleeson(name an actor that has had as good a year as the Ex Machina/Brooklyn/The Force Awakens/The Revenant star) will carry out Aronofsky's newest vision with his brother, Snow White and the Huntsmanactor Brian Gleeson. Ed Harris and Michelle Pfeiffer were also part of this latest round of casting, Pfeiffer having most recently appeared in 2013’s Luc Besson crime comedy The Family.Noah may not have been a triumph, but Aronofsky’s name clearly still carries a lot of weight in Hollywood. And it’s well-deserved; he’s proven himself to be a masterful actor’s director, guiding Natalie Portman to her Oscar win and scoring nominations for Ellen Burstyn, Marisa Tomei, and Mickey Rourke. Even when slightly losing the course in Noah, he still conjured an unprecedented performance of nuance and maturity from Emma Watson. It’s no wonder that A-listers still line up for the opportunity to work with the esteemed director; everything he touches turns to gold, Oscar and otherwise.